Nikhil Hasija reached out and showed off a few ISV partner solutions that will get showcased at WPC next week. I’m passing this information on as the solutions look pretty cool. A new solution from Mitchell Humphrey looks quite interesting. 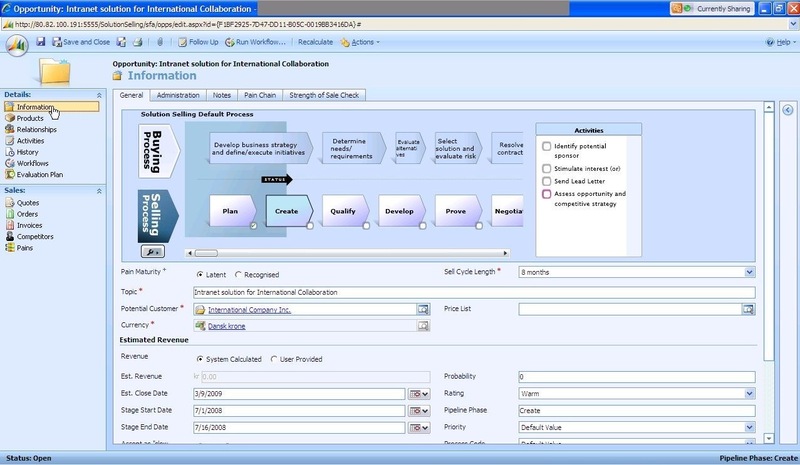 Mitchell Humphrey built a Citizen Relationship Management solution based on CRM in record time. They were able to build a solution that enables governments to better service the needs of their citizens. They were able to get their solution to market fast because they made a big bet on the CRM platform. They were already building on the Microsoft platform but had only used ASP.NET in the past. The CRM platform provided them more of the tools they needed to get the job done faster. Nice! If you have ever looked at Solution Selling you know that it is a fantastic way to get a repeatable sales process that works into an organization. A big part of getting that process in place is getting it into the hands of the sales person in a way that they will use it. Mondo has taken advantage of the extensibility of the Dynamics CRM platform to build the process right into the tool. They use the brand new shiny Silverlight to provide the optimal end-user experience. They also provide a community site that accompanies the solution. Click the screen shot above for a closer look. 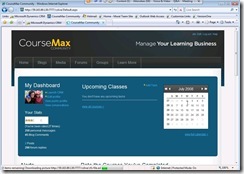 CourseMax already had a solution to manage some of the aspects of online training. They’ve deeply integrated that solution into the Dynamics CRM platform and federated content among the two systems. By embedding the aspects of the original solution (community, ratings, blogs) into the CRM platform they built something much bigger adding other capabilities like Live Messenger and Virtual Earth integration. Click the screen shot to the left for a closer look. These ISVs will be strutting their stuff at WPC next week at the following sessions. I’ll definitely try to make it to these. Microsoft Dynamics CRM on-demand services create possibilities for entirely new business models and opportunities. Attend this session to explore how you can develop a reliable annuity stream by reselling, configuring, customizing, and supporting Microsoft Dynamics CRM. Attend this session to more deeply understand the market opportunity and how to design, develop and go-to-market with industry and vertical solutions based on Microsoft Dynamics CRM. See you next week in Houston.